Meet Ozzy, Sam and Zeppie! 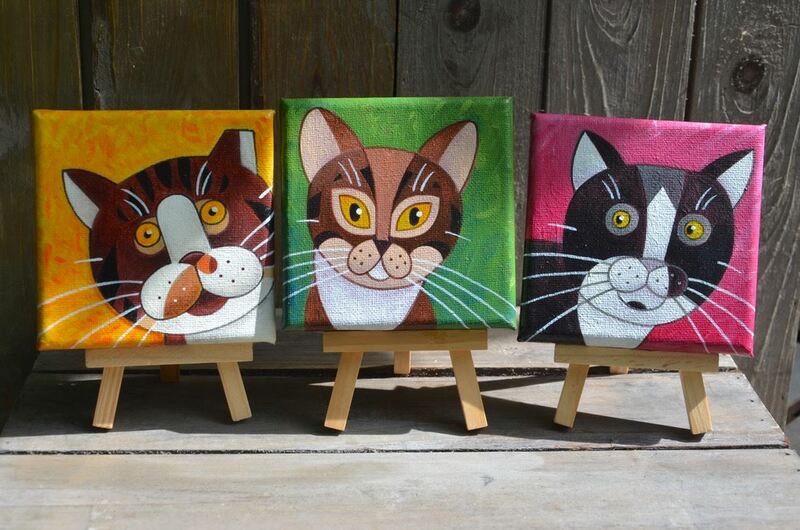 I painted these three cute cartoony felines recently in commission and had a lot of fun with them! They arrived at their new home yesterday and the client is very happy with them, so am I!